When did your commercial building last have a roof inspection? Unfortunately, many building owners cannot readily answer that question, which is problematic for a variety of reasons. If you are a building owner in the Parkersburg, OH, area, the experts at E&E Construction Company will not only make sure your roof is inspected when it needs to be, but we will take care of any problems we find on your roof with efficiency and expertise. To schedule your next roof inspection, give the E&E Construction crew a call today at (740) 331-0695! Inspections: How Come—and How Often? Regular roof inspections are vital for a variety of reasons. The first and most obvious reason is that routine inspections help a roofer identify problems at their early stages so they can be addressed before they wreak too much havoc. Like most things, roof damage typically starts small, and the longer it goes unchecked the worse (and more expensive) it becomes. Another reason roof inspections are important is most roofing warranties require them; failure to have your roof regularly and professionally inspected can lead to invalidation of your warranty. A third reason is documentation. During an inspection, a good roofer will thoroughly document the condition of your roof. This becomes very important if you ever need to file an insurance claim to have roof damage repaired. An insurance company can claim that the damage was preexisting and, therefore, not covered by your policy. 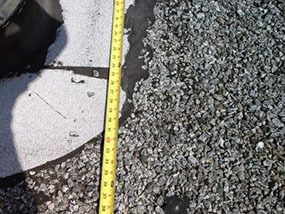 The detailed documentation a roofer has made during each inspection stands as proof that damage appearing after a severe storm or other event was not there previously. Now, as to how frequently your roof should be inspected, the general recommendation is at least twice a year—once just before the worst weather strikes in your area and once again right after that season has ended. Additionally, you should have your roof inspected after any kind of severe event that could have damaged it, like a storm, earthquake, etc. 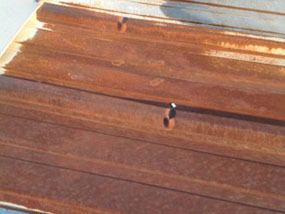 You can count on E&E Construction Company for all of your commercial roofing needs, including roof inspection. Give our professional roofing technicians a call today at (740) 331-0695!